When we think of Mickey, we think of RED and maybe Cherries. We have created a unique scent for our beloved mouse, "OH MICKEY" We have blended creamy vanilla, juicy orange, sweet pineapple, and LOTS of maraschino cherries to created a scrumptious scent. Love this scent, so fruity and sweet! 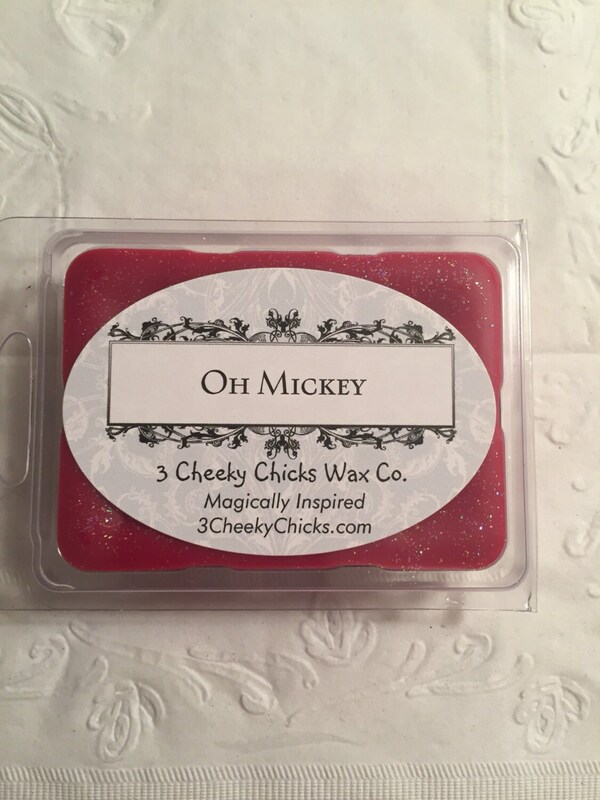 I love the wax melts from 3 Cheeky Chicks!! They are very pretty with the glitter on top, are a great texture, the scents last a long time and have an awesome throw. Very good customer service and quick shipping. Highly Recommend this company!! !